Andrea Copeland’s research focus is public libraries and their relationship with communities. Her current emphasis centers on connecting the cultural outputs of individuals and community groups to a sustainable preservation infrastructure. She is the co-editor of a recent volume, Participatory Heritage, which explores the many ways that people participate in cultural heritage activities outside of formal institutions. It also examines the possibility of making connections to those institutions to increase access and the chance of preservation for the tangible outputs that result from those activities. The Bethel Archive Project at IUPUI has greatly informed her knowledge in this area. 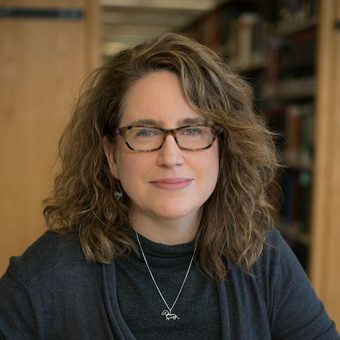 Copeland is active in several professional organizations including the American Library Association, Association for Information Science and Technology, and the Society of Woman Geographers, and serves on the editorial boards of The Library Quarterly and Collection Building.